The story of how I came to read Interlands is sort of interesting in of itself. I was in Providence for NecronomiCon when I met Vincent O’Neil. When he told me had written a Lovecraftian horror-novel set in Providence, I was sold. And I’m glad I was. 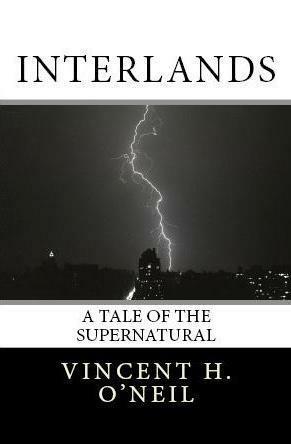 Interlands is a wonderful read brimming with mystery and suspense. In Providence, Rhode Island, graduate student Angie Morse has discovered evidence that an ancient stone obelisk worshiped by a colonial-era cult is still in existence. Hoping to finish her studies with a career-boosting headline, she’s combing the woods to find it. As she digs into the history of the obelisk and the cult that perished at its feet, she’s plagued by bizarre events and shadowy figures from her college days. The more time she spends in the ghostly forests outside the city, the more Angie starts to suspect the obelisk is exerting the same influence on her that doomed so many others. Two strengths separate Interlands from other reads. The first is Angie. She’s a wonderful, believable, sympathetic hero. We are immediately on her side. We want to see her succeed. We are worried about her when she’s in danger, and we are rooting for her to come out the other side OK. It goes without saying that a book without a strong lead cannot survive, but Angie helps take Interlands to another level entirely. The other strength is the plot itself. It’s been said that the best horror begins with an imminently believable and perhaps even mundane premise. Angie is hunting for the obelisk not because of its mystical connotations, but because she needs to find it to complete her master’s thesis. The story starts off slow, building suspense and tension and slowly drawing us in. I don’t have a fireplace, but I imagine lying on the couch in front of one would be the best place to enjoy Interlands. It’s one of those books that should be savored, rather than devoured. All in all, I really found myself enjoying this book. I’d recommend it not only to Lovecraftians out there looking for what is essentially a love letter to Providence, but also to anyone who enjoys a good mystery and a lead character you can care about. For a very long time, I have been on a quest to find a truly frightening, truly unsettling, scary movie. It’s not an easy quest. The last one to achieve that lofty bar was The Ring, a movie that required a high degree of suspension of disbelief, but was pretty horrifying if you were able to accomplish it. I have seen many unsettling movies in the past few years—Irreversible, Inside, Audition to name a few—but these movies, while disturbing, aren’t all that frightening. When I started Lake Mungo, I wasn’t expecting to find anything that was able to quench my thirst for horror, and maybe that’s why I ended up enjoying it so much. 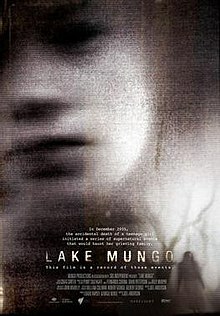 A movie that was part of the failed and, on my part at least, much missed, After Dark Horrorfest, Lake Mungo was a pleasant surprise, one that stuck with me well after the cameras stopped rolling. Sixteen-year-old Alice Palmer drowns while swimming in the local dam. When her body is recovered and a verdict of accidental death returned, her grieving family buries her. The family then experiences a series of strange and inexplicable events centered in and around their home. Profoundly unsettled, the Palmers seek the help of psychic and parapsychologist, Ray Kemeny. But as their investigation continues, they soon discover they didn’t really know their daughter at all. Lake Mungo starts off slow. Real slow. The first fifteen minutes or so were not easy to get through, but I’ll forgive the filmmakers because the relationship they establish with the viewer in those beginning scenes probably does a lot to accentuate the level of tension and the level of participation by the audience. The acting in Lake Mungo is of a quality one doesn’t often see in a horror movie. The actors are required to portray ordinary people going through the extraordinary pain of losing a child. And let me tell you, they pull it off. It is nearly impossible to watch Lake Mungo and not believe you are watching a real documentary. And that’s what makes the movie so creepy. There are no jump shots in this movie. There’s very little gore. There’s nothing about Lake Mungo that is particularly scary. But the totality of the experience is decidedly unsettling. By the end of the movie, my hair was standing on end and I was beginning to look over my shoulder, that feeling that I was not alone starting to creep in. I think the brilliance of Lake Mungo lies in its mid-movie twist. Up until that point, Lake Mungo seems like a pretty standard paranormal haunting film. But then everything changes, and everything gets much weirder, much more interesting, and much more scary. And that’s the point, isn’t it? I would definitely recommend Lake Mungo to horror fans, particularly those who enjoy paranormal frights. It’s not a perfect movie, and I am sure some people will find it to be boring in the extreme. But if you let it take hold, I can promise you it won’t let go. 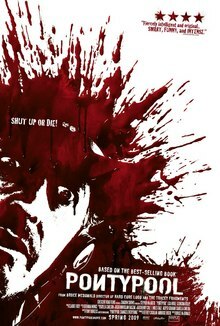 Stumbled upon an interesting movie during my internet wanderings recently–I honestly don’t remember how I even came upon it. It’s called A Genesis Found. It centers on a archaeological dig in Moundville, Alabama during the 1930s by the Civilian Conservation Corps. Moundville, in case you don’t know, is a rather enigmatic ruin in Alabama consisting of ancient Indian burial mounds, some that are upwards of 60 feet tall. During the dig, the young members of the corps stumble upon a find that could have come straight out of Ancient Aliens. Flash forward to the present day. It turns out that one of the young men on the project from the 30s wrote a best-selling book about what they found in the mounds. 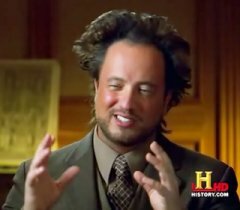 Unfortunately, no one believes him–including his own family who is pretty convinced that he was insane. Now his grandson is a student at the University of Alabama, located just down the road from Moundville, and a movie shoot with his brother now has him back in the field searching the mounds for what his grandfather left behind. A Genesis Found was made for less than $50,000 dollars. Of course, it shows. But while there’s not a whole lot going on with special effects and some of the acting is–questionable–all and all, it’s not a bad flick at all. And some of the actors are actually pretty dang good. Luke Weaver stands out in that department. If I had one complaint about the movie, it’s that it’s just too long. Nearly two hours is a lot for any horror movie, and the narrative–in addition to be being just a little bit confusing–simply doesn’t justify it. Thirty minutes less, and I’d probably recommend it much more wholeheartedly. As it is, I still think it’s worth a watch (it’s free on youtube, after all), particularly if you are a fan of Lovecraftian stories or Chariots of the Gods type speculation. Watch the trailer for A Genesis Found. Wanted to make you guys aware of a new release coming up that I think you will enjoy. 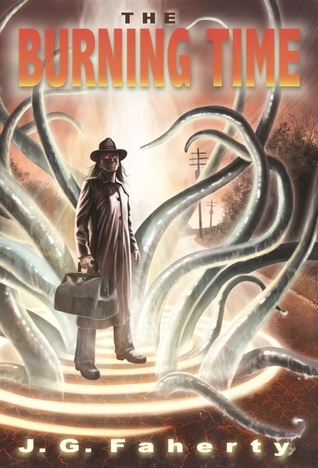 It’s called the Burning Time, by J.G. Faherty. Anyone who has ever read Faherty’s work knows that he is a real talent. I was delighted to receive an early copy of this novel, and I liked it so much I gave it the following endorsement. Great book, and I hope you enjoy it as much as I did. In my view, there’s no better way to start off the new year than by reading some of the best works of the last year (and yes, I am only including books released in 2012. So even though I loved High Moor and read it in 2012, it doesn’t count. You should still buy it.) This is a tough one for me, as I read some really great books over the last 365 days. In fact, I’d say that 2012 was the best year for reading in my life. Below are my 10 favorite reads, divided between novels and long fiction (7500-40000 words). They are ranked one through five only for convenience sake; I’m not even going to try and rank these great books. If you enjoy horror, pick some of these up. Twice Shy — I’ve been talking up Twice Shy for quite some time. It’s simply put one of the best zombie novels I have ever read. And strangely enough, it may be the best book about teen angst. Just a really great book. The Croning — It’s hard to describe The Croning. It’s one of those rip-roaring, psychedelic tours through madness that really has to be experienced. It’s not for everyone, and there’s not shame in not getting it. But if you do, you won’t be disappointed. Terminal Island — I had the chance to read an early copy of Terminal Island and offer an endorsement. Here’s what I said. “A psychedelic descent into madness and cultural insanity, Greatshell has given us a tale of ancient gods and nameless cults that practice their rites not in some wasted land far away, but right in our backyard. This book never slows down until the high energy climax.” And it’s true. This book is crazy. I’m not saying you’ll love it, but you won’t think it’s ordinary. 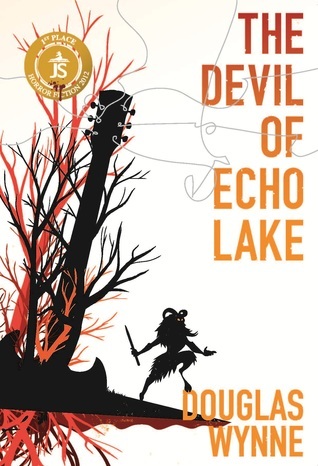 The Devil of Echo Lake — Another fantastic book that puts a great spin on the old legend of Robert Johnson and the crossroads. But it’s so much more than that. Sometimes, there are things far worse than the devil. The Donors — Last, but certainly not least, is The Donors by Jeffrey Wilson. A great, creature-feature that will make you think twice about going to the hospital. Jeff Wilson is a fresh face on the horror scene, and I hope he continues to put out such great stuff. 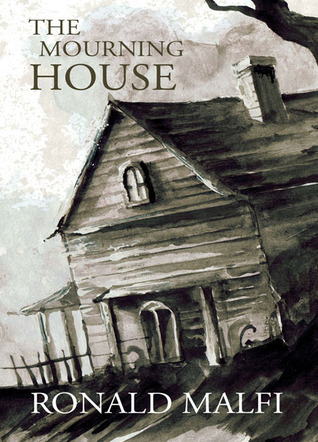 The Mourning House — “The Mourning House” was, in fact, my favorite read of 2012. It is everything that horror should be, a nearly perfect story. I loved, loved, loved this book. 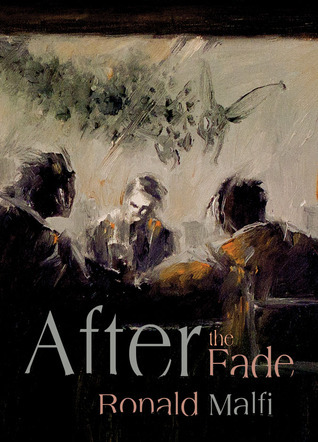 As a bonus, check out the author’s “After the Fade.” Another great story. When We Join Jesus In Hell — Lee Thompson’s long fiction masterpiece is a truly disturbing work. It’s the kind of punch in the gut story that sticks with you for a very long time and doesn’t want to let go. It’s a book I recommend by saying that I don’t recommend it to everyone. Enter at your own risk. Subject 11 — I’ll say the same thing about “Subject 11” I said about Terminal Island. It’s a crazy, trippy story, and it’s not for everyone. But man, what a trip it is. Night of the Scream Queen — What a wonderful romp “Night of the Scream Queen” is. Most of the entries above are very serious, very dark. Not so with this little jaunt. It’s a fun read and has some great and humorous moments. If you like your horror tinged with some lighter banter, this one is for you. I’m going to do something a little different for this one. Here’s a list of some more terrific long fiction. These are short and cheap, so you can read a lot of them. Lost Girl of the Lake. The Girl. Thirty Miles South of Dry County. He Waits. Without Purpose, Without Pity. Swamp Monster Massacre. Chorus of Dust. The Cold Spot. So there they are! Pick some up and enjoy! In life, there are times when one comes upon a work of art that is so stunning, so brilliant, and so fantastic that the mind struggles to accept that it is real. So is Ronald Malfi’s “Mourning House.” For years, I have searched for a piece of storytelling, a novel, a short-story, a movie, a television show, that could chill me. That could reach down in my soul and twist it. That could make me shudder and break out in goosebumps. Something I could savor every moment of and enjoy at some deep, transcendent level. It’s a rare thing, a piece of fiction like that. But “Mourning House” accomplished it. I loved this story. I loved every word, every syllable. I found myself reading it line-by-line, both afraid and excited to scroll down and see what was next. I cannot recommend it highly enough. If you read this story and don’t like it, I’ll give you an e-copy of That Which Should Not Be or The Void. Hell, I’ll give you both. It’s that good. I thought this was a tremendously well-written horror novella, one that reminded me of some of Stephen King’s best short fiction. Like King’s work, the best part of Malfi’s After the Fade (other than the fantastic title) is the human interaction. And though I won’t give it away, I loved the ending. This book deserves to be a horror classic, in my view. The Devil of Echo Lake takes the story of Robert Johnson and the crossroads and infuses new, 21st century life into it. Billy Moon is a rock star in search of a transcendent record. He comes to Echo Lake to pursue that goal, led by a producer who might be the personification of Satan himself. But there’s more than meets the eye to the idyllic lake in the forest, and something may haunt the studio that once was an abandoned church . . . This book is really terrific. It’s woven together from several different threads, each of which tells a compelling and enjoyable story. The characters are well-realized and far more complex than we expect from the genre (for better or worse), and I admit to being surprised by the ending. I highly recommend The Devil of Echo Lake. It is a breath of fresh air, and a wonderful debut by an up and coming writer. I look forward to seeing much more from him. 5 Stars and my guarantee–if you read this book and don’t like it, you can have any of my books for free. 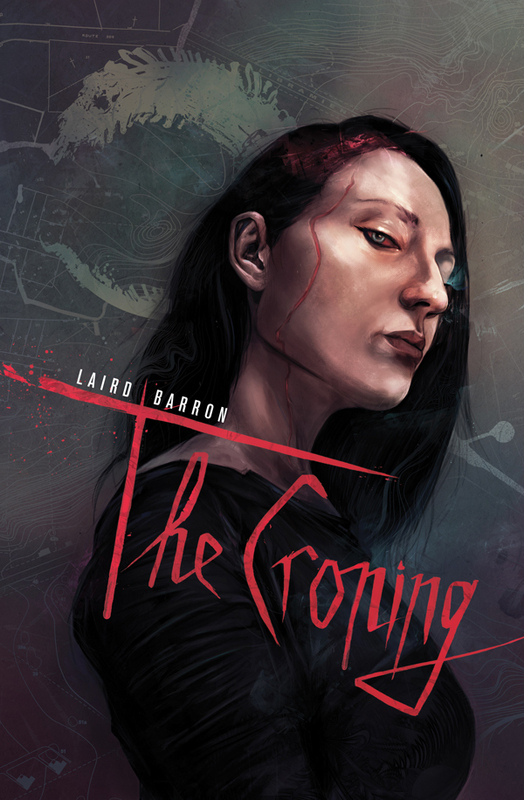 The Croning by Laird Barron — Wonderful Lovecraftian-esque tale about an ancient god and the cult that worships him and his brethren. If you like weird fiction and cosmic horror, you will like this book. The Donors by Jeffrey Wilson –Truly frightening old-school horror. 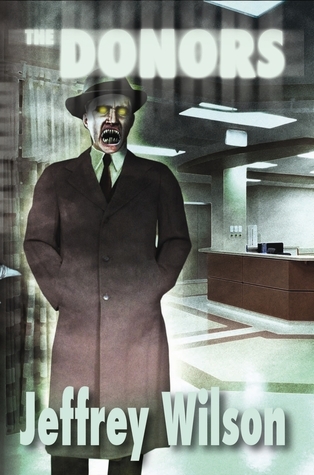 Monsters that travel in the shadows, feeding off fear and harvesting it in hospital surgery wards. Probably shouldn’t read if you have an upcoming operation. Twice Shy by Patrick Freivald — Creative. Funny. Scary. Wonderful. All these words could be used to describe Twice Shy, one of the best zombie novels I have ever read. It’s not like most zombie fiction–normally a negative for me since I like my zombies old school–but I guarantee you will enjoy it. The Devil of Echo Lake by Douglas Wynne — This book deserves to be a horror classic, in my view. Takes the story of Robert Johnson and the crossroads and infuses new, 21st century life into it. But there’s more than meets the eye to this book. There’s also an ancient power, lurking in the shadows, that puts the devil to shame. And man I love the cover. Check it out. High Moor by Graeme Reynolds — If you follow this blog, you know how much I loved this book. I’m not much of a werewolf guy, but this novel is both one of the best werewolf books I have read and one of the best horror novels I have read, period. 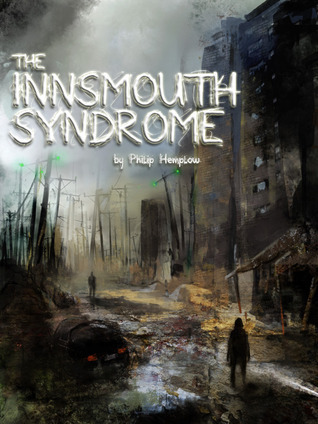 In this fine novella, Philip Hemplow takes us back to Innsmouth and speculates on what might have transpired in the 80 years since the shadow fell over the eponymous town. Dr. Carla Edwards comes to Innsmouth to investigate the genetic mutations for which it is famous. Upon arriving there, the skeptical doctor learns that the illness has nothing to do with radiation or disease. Vividly described and dripping with atmosphere, Hemplow gives a loving tribute to H.P. Lovecraft, and fans of the mythos would be well advised to pick up this volume. Finished up my review of Jeff Wilson’s latest thriller, The Donors. Really great book that’s generating a lot of positive publicity out there. Read my review here, but don’t take my word for it. I think this one is going to be a big hit for Jeff. Everyone loves Top Five lists. I got word that my first novel would be published in April 2011. In the year that followed, I have read a lot of books. Here are my top five from the last year. (Doesn’t include May, so The Croning is not eligible). 5. Jokers Club — Freaky Stephen King-esque tale of a reunion of friends that ends in death. 4. Shaman’s Blood — A family cursed by events that happened fifty years before. 3. Cemetery Club — Zombies. What more do you need? 2. Ghosts of Rosewood Asylum — A paranormal investigation team finds more than they expected at an old asylum. 1. High Moor — Simply put, the best werewolf book I have ever read.